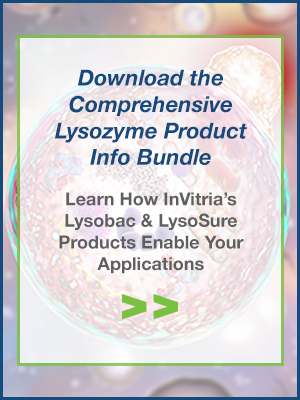 Lysobac is a recombinant human lysozyme that is suitable for uses as a preservative in foods and beverages, diagnostic applications, bioprocessing and life science research. Lysobac is four times more active per mg for lysing Micrococcus and E. coli., when compared with the highly variable chicken lysozyme and thus is a more effective as a preservative. Lysobac also eliminates any concerns regarding consumers with egg allergies.